The Hungerford Lake Trail is located at the popular Hungerford Lake Recreation Area, a multiple-use area featuring outdoor adventure all four seasons. This trail offers two loops, a 7 mile and a 12 mile, that are shared by bikers and hikers. The area provides opportunities throughout the year to hike, snowshoe, cross-country ski, horseback ride, mountain bike and enjoy the National Forests. 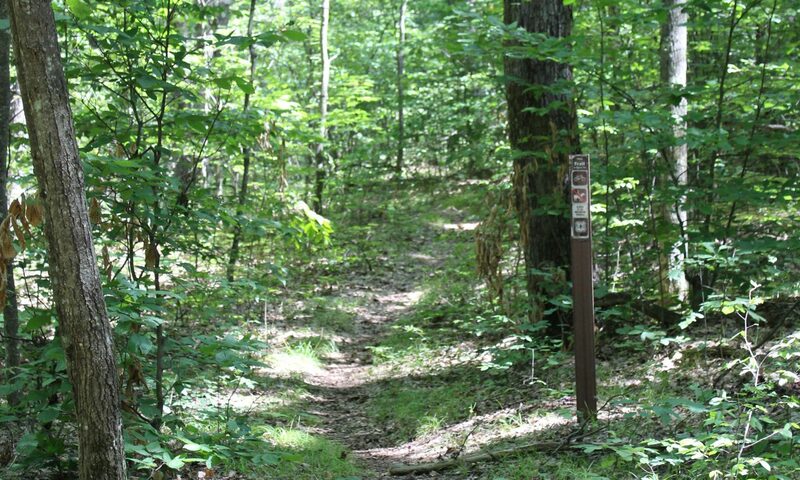 Light blue, diamond shaped confidence markers on trail side trees and posts designate the trail system. 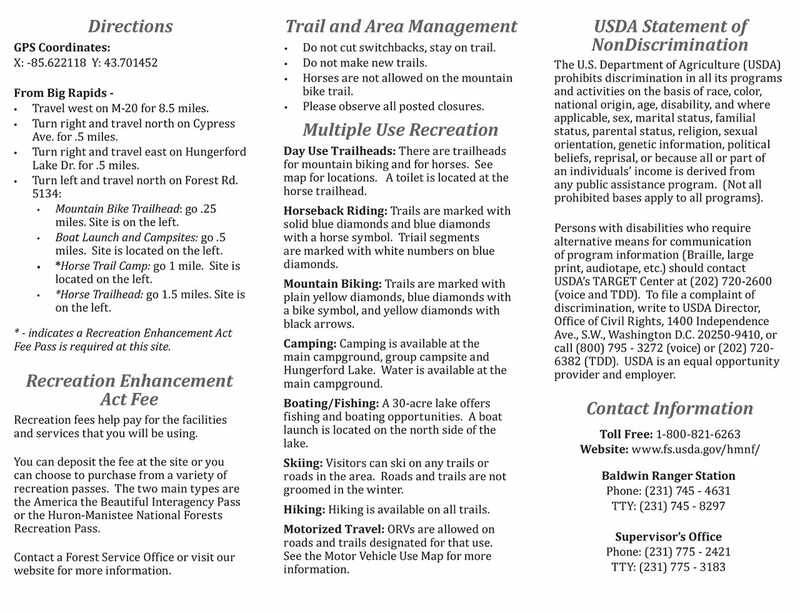 Level of difficulty signs are posted at trailhead and along the trail systems: (Beginner to Advanced). A “you are here” map and benches are located at the trail intersections. To preserve natural resources, camping is allowed, but at numbered sites only. 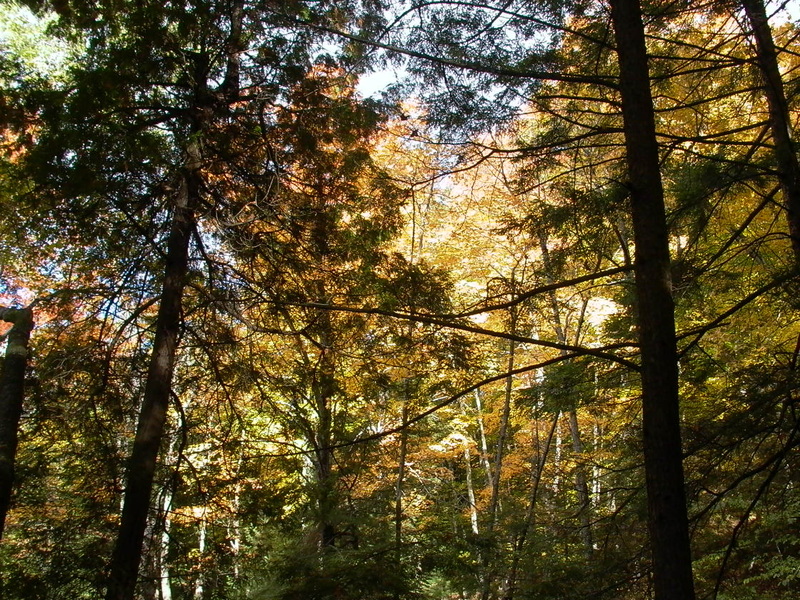 The Hungerford Recreation Area is a non-motorized area consisting of over 6,500 acres of National Forest System lands providing opportunities to hike, snowshoe, cross-country ski, horseback ride, mountain bike and enjoy the National Forests. A 30-acre lake offers a variety of fishing, boating, and camping opportunities. This site is a particularly popular area in the fall offering scenic views of spectacular fall color. 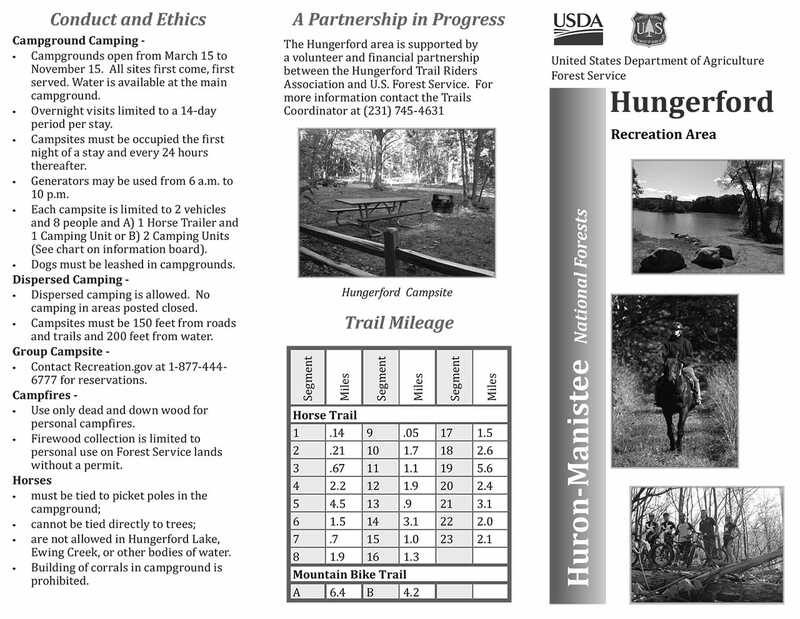 The trails of the Hungerford Recreation Area are intended to be used by outdoor enthusiasts of every sort. 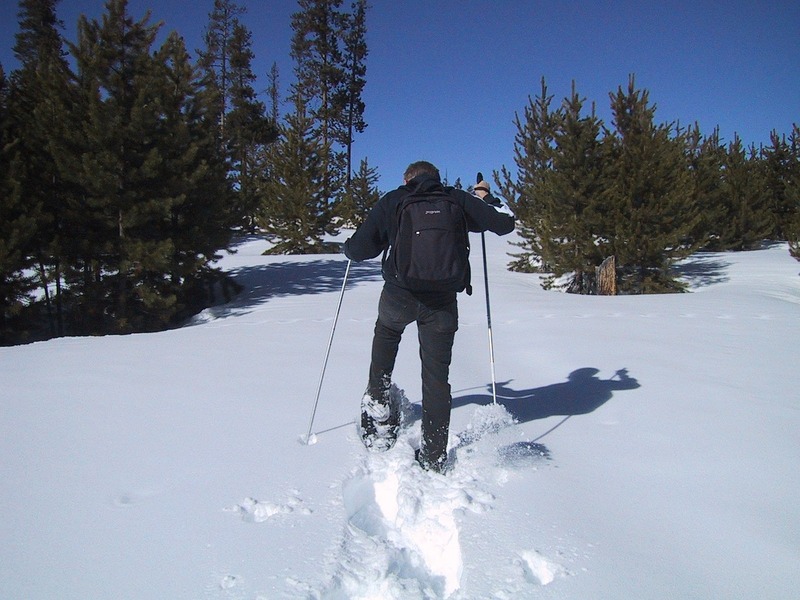 The winter months offer a nice mix of single track and two-track trails perfect for cross-country skiing. While in the spring, summer, and fall months hikers, bikers, and horseback riders alike enjoy natural resources the trails provide.